This patient was admitted with acute non-localised abdominal pain. The initial ultrasound examination showed thickened hyperechoic submucosa from terminal ileum down to descending colon. 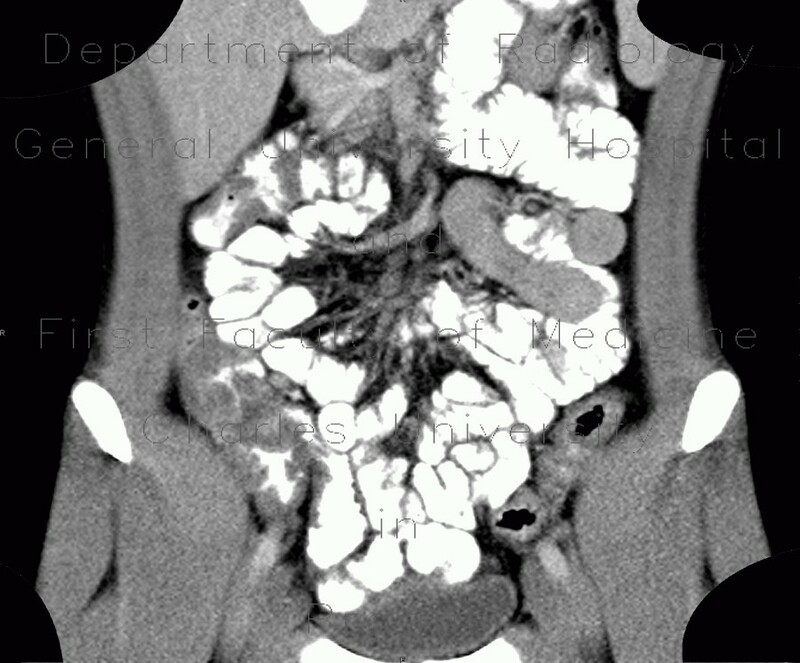 CT examination the following day confirmed thickening of bowel of of the terminal ileum and colon with pronounced involvement of haustral folds in some segments.